Joeski started djing in 1989 where he used to do house parties in Queens New York he then hooked up with some promoters in about 1991 and started to DJ Wunder Bar in NY he then started at the legendary Limelight on Thursday’s followed by Nasa 1991-1992, it was then when he got into the rave circuit and did Thursday’s after-hours at Save the Robots with DJ Keoki. After this he started traveling all over the USA and started his residency at the Roxy in about 1995, the party was called Together and he played there with, everybody you name it! Danny T, Little Louie Vega, Roger S, and on and on. 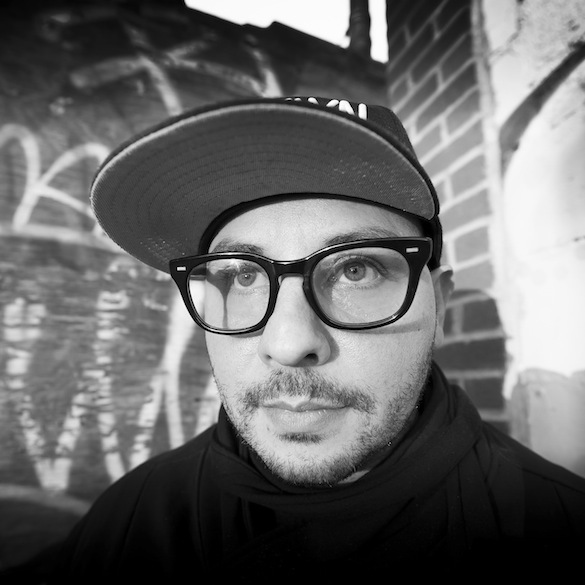 Joeski played raves all over the US and in about 1997 started doing every other Friday at Grove Society at the Playground in Montreal . It was then that he started getting into production, the first track he ever did was in Germany in 96 which he never put out. He invested all his loot in the studio and then started Maya Records in 2005. One of my first big records i made with San Francisco’s Dano. It came out on UK label Junior Boys own. This was the first record on my label Maya Records, it ended up selling the most on the label. I was at a dj gig in St Louis and met this vocalist there, Troy Dillard. Ended up recording the vocal there, came back to NY and sat on this record for like 3 years. Onionz fell in love with it so I gave it to him for Electrik Soul Records. I did a remix with Onionz under Barrio Bros Main mix and ended up being one of my biggest records to date. Played a gig for DJ Chus at the time in Madrid. I ended up staying there with him and we recorded this tune. A big record for us at the time. This was my first big digital release having stepped away from the game for 5 years.